Renews & Rejuvenates Signature Sleeves! Refresh and renew! 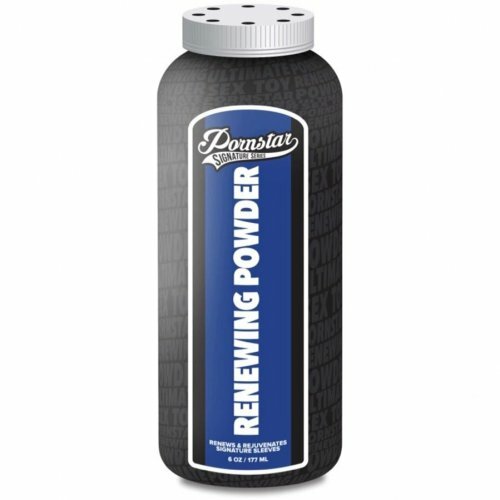 The Pornstar Signature Series Renewing Powder will rejuvenate your favorite Pornstar Signature Series Stroker by helping to maintain it's unique soft, lifelike texture. With a traditional sprinkle top style bottle, this renewing powder easily twists open and adjusts to dispense just the right amount you need. After washing your favorite Pornstar Signature Series toy with warm soap and water, air dry and powder the item. This specially formulated powder will improve and extend the lifespan of all your favorite stroker, making every time feel like the first time, over and over again. Foaming Masturbator Cleanser & Sanitizer - 8 oz.